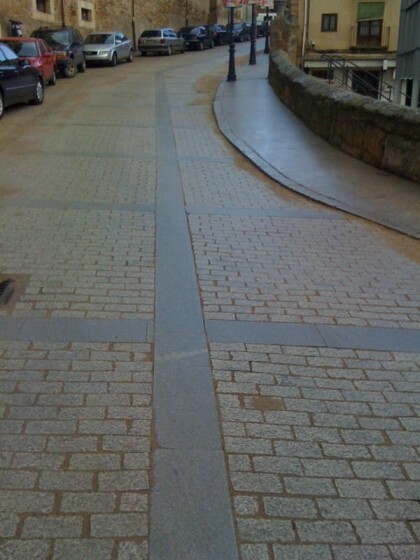 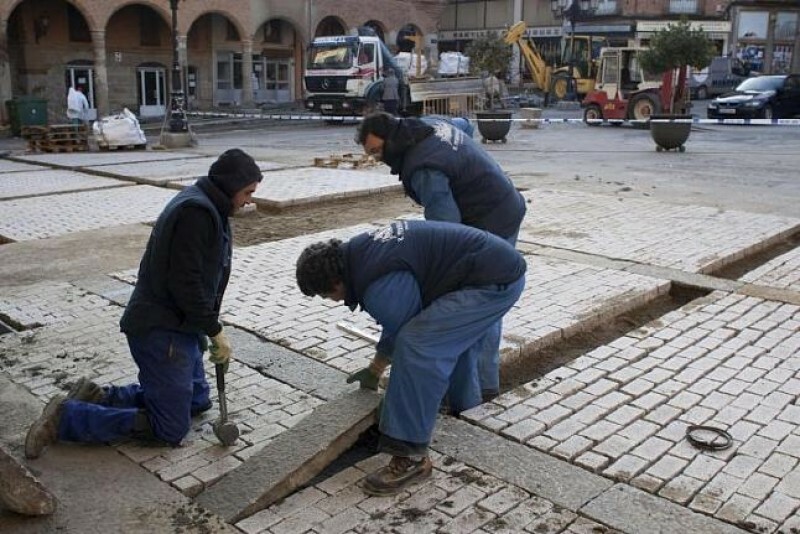 In Benavente´s Main Square and adjacent streets they were used 2.300 square meters of 20x10x8 Albero Almendra granit paving sets. 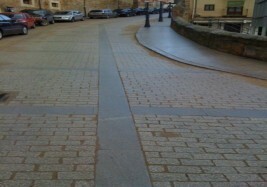 These paving sets were downside cutted, upside blasted and rough split . 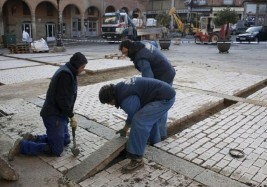 It was also supplied 700 lineal meters of 30x8 Silvestre Duero blasted tiles.